Pete wanted something really special and we think he's achieved it. 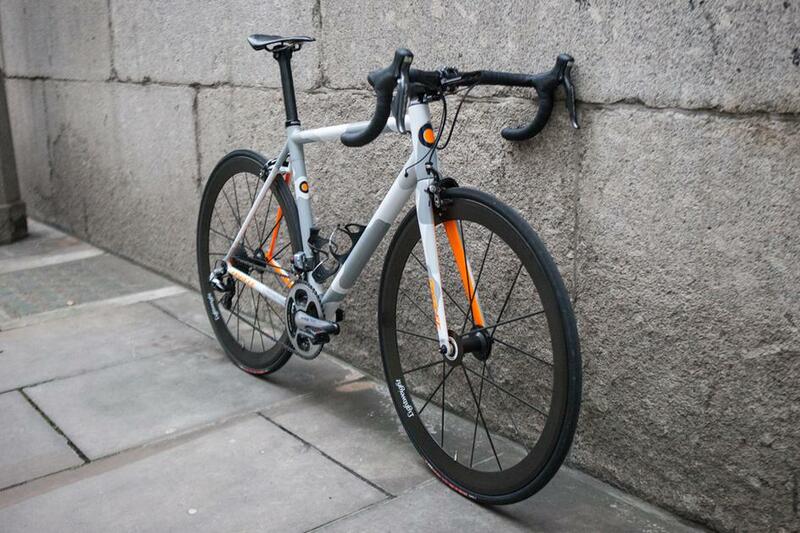 The Parlee Z Zero is often seen in black, a lot of people like the waxed finish, a very subtle look. Pete did not go down that route. Custom urban camo paint with fluo orange logos and fork blades makes this a real head turner. Once you get past the paint though, there's plenty of other jaw dropping details. Lightweight Obermayer tubs are insanely light, they chose their company name for a reason. SRM with Di2, ENVE cockpit, it's all there. I was really happy to be able to reshoot this build from earlier in the year, it really is something else. See more of this amazing bike here , and the other contenders here .